c.nichols project is pleased to present our 3rd annual holiday surf show. This year Daniel George exhibits his recycled "El Niño" surfboards & Hand Planes, and unique ceramics. Assorted swag from his Flying Uke line of goods and apparel will be on hand, just in time for the holidays. Flying Uke was founded after Daniel earned a Masters of Fine Art in ceramics. Flying Uke acts as a vessel to bridge the gaps between his interest in pottery, up-cycling (it's a word, look it up! ), and print making. In order to create his signature patches, Daniel would wrangle shirts from the local Malibu thrift store (where he would often volunteer), deconstruct them, and print on the new reclaimed fabrics to be sewn on t-shirts, hoodies, and hats. Sticks & Mud features six new surfboards that range in size from six to seven feet in length. Scavenged over the years from his Zuma Beach haunts, these recycled "El Niño" boards have been meticulously stripped of their fiberglass in order for Daniel to reshape their foam core. After shaping, but before glassing, Daniel has slightly inserted an original rice paper and India ink drawing just below the boards glassing. At its soul, Daniel's process celebrates overlap: surfing, the rugged individuality and progressive melting pot of California coastal living, just as much as it celebrates intuition, freedom, and above all, good vibes. 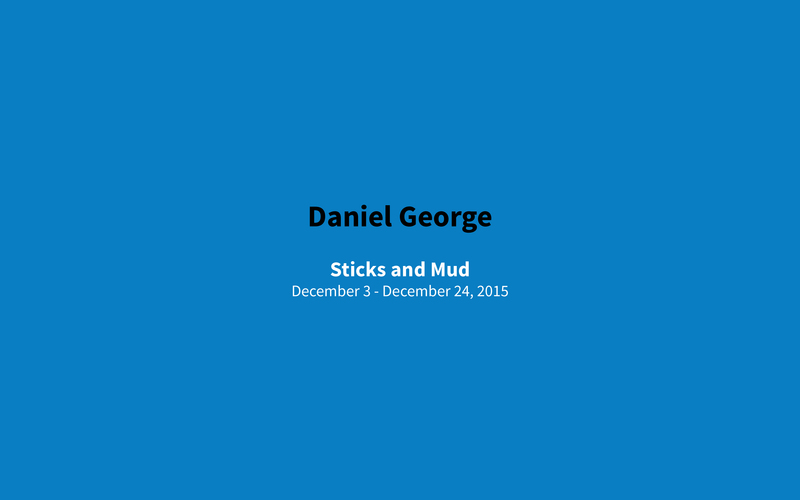 Daniel George studied at the University of Florida, and earned his Masters of Arts in ceramics from California State University Northridge. More information may be discovered on his website by clicking here. For this very special holiday event, c.nichols project will be closed on Monday but open Tuesday - Sunday, from 12-6pm until Christmas Eve. Please check the gallery website for details and additional programming or call 310-915-1930 during gallery hours.